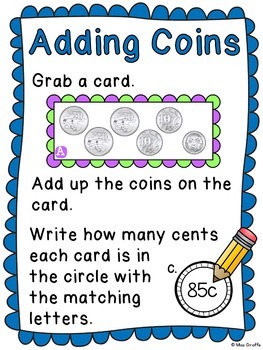 Australian Money: Australian Coins MEGA Math Unit to practice Australian currency in this fun and differentiated JAM-PACKED unit filled with over 200 pages of everything you need to teach money. 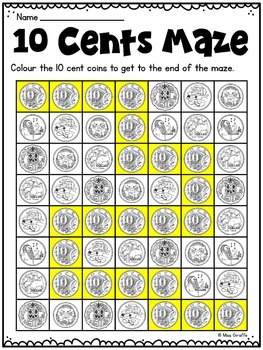 This pack covers 3 main standards/concepts: identifying coins (5p, 10p, 20p, 50p, $1, $2), adding like coins, and adding mixed coins. 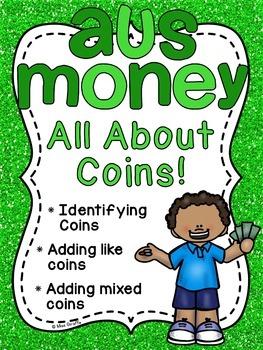 From identifying and sorting coins to adding them to money word problems, this has everything you need! I also have this for UK money and Canadian money! Please click the green PREVIEW button above. It will show you the table of contents to give you an idea of what is included. In the actual file, the table of contents is clickable to easily take you to the activity you're looking for. 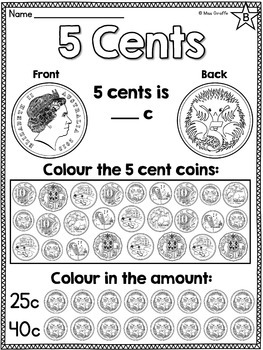 This is everything you need to print and go to teach Australian coins - it will save you so much time! Plus, ALL of your students will be learning and having fun at their own level since everything is already differentiated for you which will make your math planning a breeze! There is so much stuffed in these that I had to split it into 2 big bundles. Also check out my Australian Maths Chart!